More and more cell phones have the option of accessing the Internet. At the same time, Android-, iPhone- and Symbian-phones, all have the option to install a QR barcode reader. The QR code can contain a text or a link, which is shown when the cell phone user scans the code with the barcode reader. How can you use it in you company? This means that visitors in your physical store or at your stand/booth at a trade exhibition, can scan the QR code with their cell phone and then directly gain access to the signup form for your newsletter on the phone, instead of writing down a long URL or manually write down their email and then afterwards you have to add all the email addresses manually to your list.
? Open up a word-document and enter a text i.e. 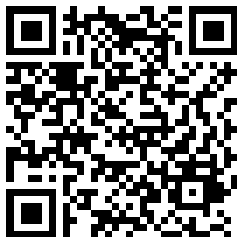 'Subscribe to our newsletter - scan this barcode with your phone'. 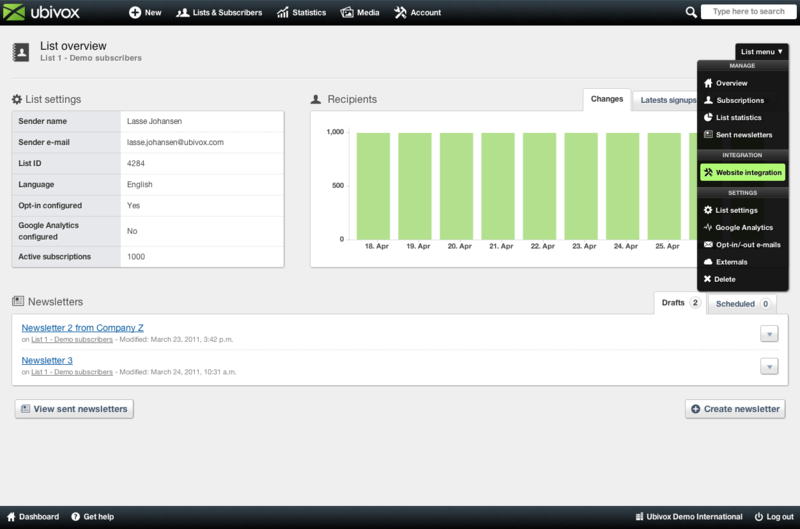 Login to Ubivox, click on your list from the dashboard. 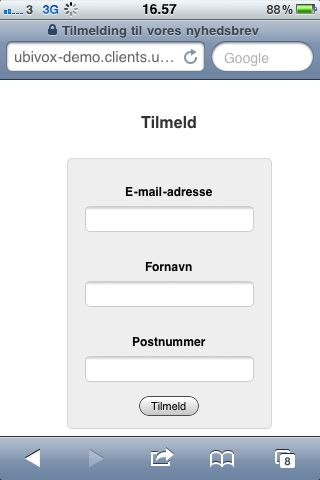 Go to the List menu in the top right corner and then click on Website integration. 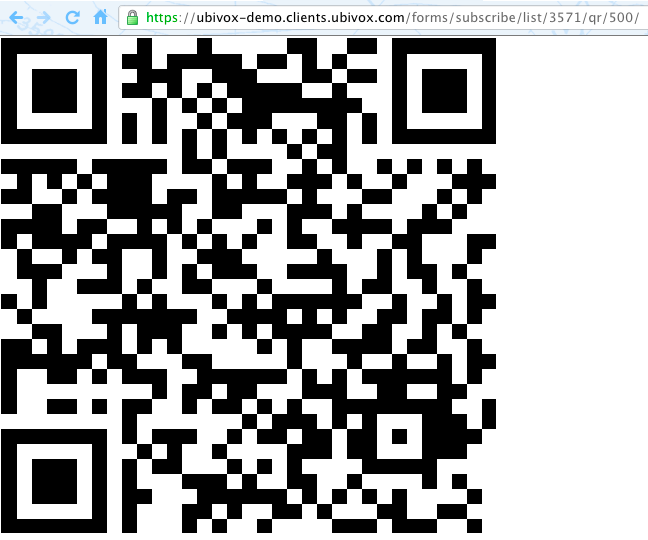 In the tab Subscribe you will see a picture of a QR code and a link underneath. You can either copy the picture directly from the Ubivox account, or copy the link in the bottom, and paste it into a browser, and then just change the number at the end of the link, to change the size of your barcode. Here it is changed to 250 pixels. When you have the correct size, just right click the code and choose Save as and save it on your computer. 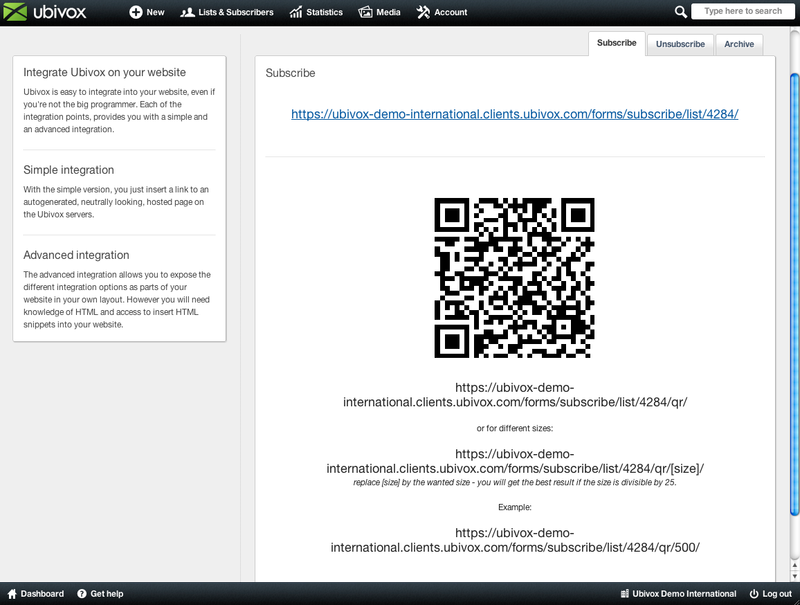 Afterwards copy it into the word document, and then you have a QR code signup for your newsletter, that you can place in the window of your store or for the next sales exhibition.